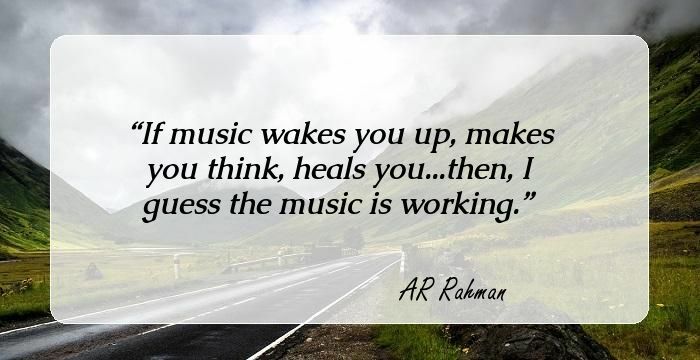 A. R. Rahman is India's most loved and respected musical maestro. His fame travels far and wide across the globe. The musical prodigy enchanted music lovers even as a kid when he appeared on Doordarshan's talent show 'Wonder Balloon' and displayed his skills by effortlessly playing four keyboards at once. 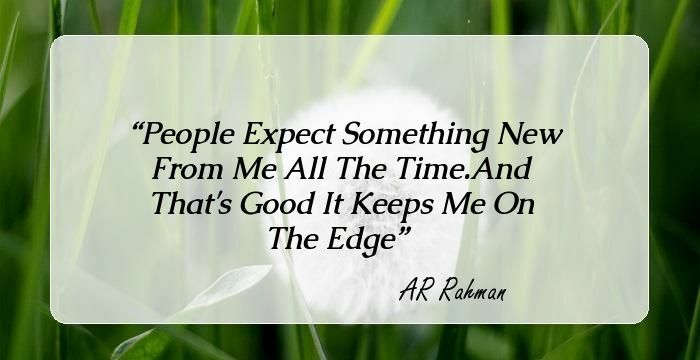 Known among his peers for his calm composure and childlike enthusiasm, not surprisingly Rahman listed humility as a top quality when his mother, Kareema Begum, enquired about the kind of girl he wanted to spend his life with. In his own words, "The girls should have some education, some beauty and loads of humility!" One day while Kareema was visiting the mosque when she saw a girl offering prayers and took an instant liking to her. But when she approached the girl's family, they told Kareema that it is not Meher (the girl she had met) but her elder sister Saira that they are looking for a groom. Kareema met Saira and she realized that the girl would fit the bill perfectly. The first meeting between Rahman and Saira went rather amusingly as the music whizz reminiscences, “My first meeting with Saira was rather amusing. Back then, she only spoke Kutchi. I asked her whether she was interested in marrying me. I’d also told her what kind of life was going to be offered to her. She was very quiet then, but now I know she is anything but quiet! I had to smile throughout our three-hour meeting and, by the end of it, it was almost a pain.” Finally with the blessings of both the families, the two entered wedlock and are blessed with three children. Here are a few gems from the extremely talented musician. 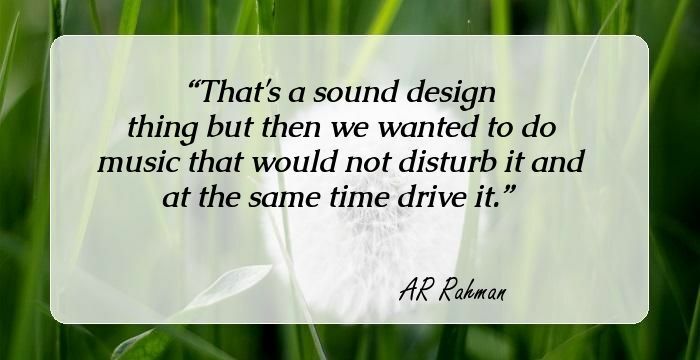 That's a sound design thing but then we wanted to do music that would not disturb it and at the same time drive it. Sometimes I intentionally cut it off. I just want to be in silence, especially when I'm traveling. I watch movies without sound. I love classical music. I love a lot of musicians playing together and the whole culture of that, whether it's Indian or it's Western.